Two especially designed guided relaxation techniques to develop control of headaches. This special program offers one exercise geared especially for tension headaches and a second exercise focused more on migraine (vascular) headaches.These techniques will give you the tools that will help you to lessen, if not, eliminate your headaches. Allow 4-6 weeks of regular daily use to begin to see change and 8-12 weeks for the maximum benefits. About 43 minutes in duration. There two different guided relaxations for headache control. 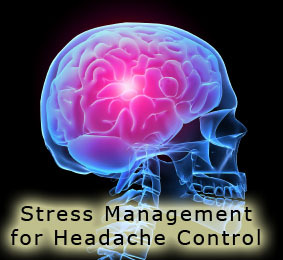 One is designed specifically for tension headaches. The second technique may work better for migraine (vascular) headaches. But both can prove very useful. You will have a choice to select the best guided relaxation for your requirements. With practice you will get better results. It takes time and practice to learn how to relax. Especially for migraine headaches, temperature training biofeedback (see article at website) will prove to make this program even more effective. Consult your physician if you are considering changing your medication useage.